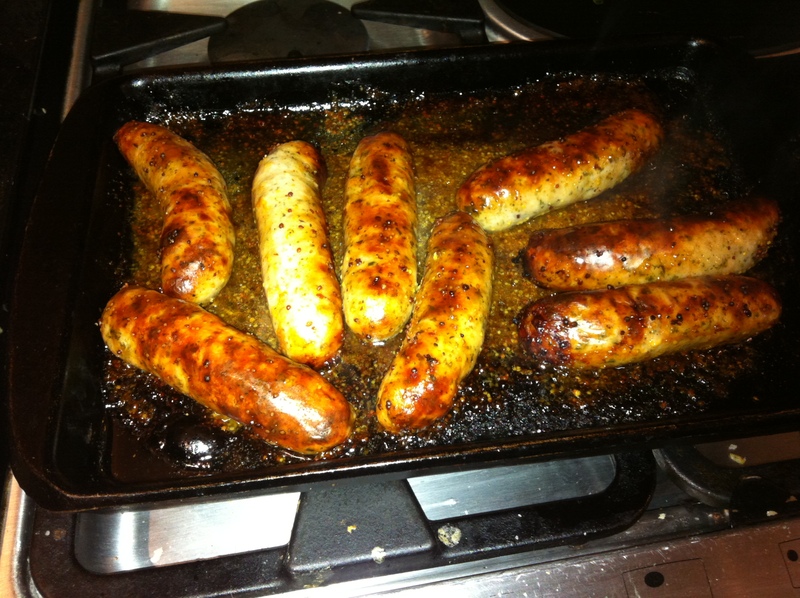 Sausages… whatever sausages you like – fat, skinny, cocktail sized, frozen or fresh, expensive or not!!! And as many as you have need for! Put all ingredients into a batter bowl and shake! Tip into stone baker and cook in the oven for approx 25-25 mins on 200℃/ 180℃ fan/ Gas 6. 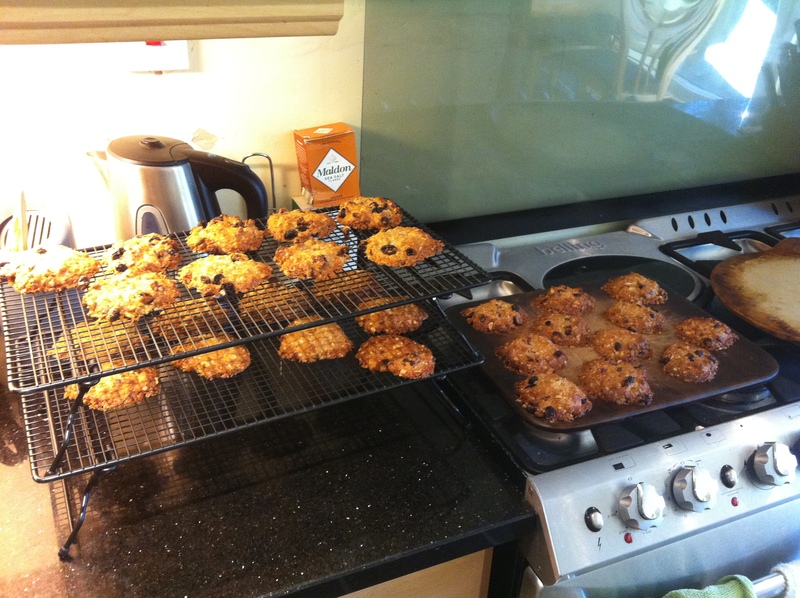 As promised, here is the recipe for these yummy things! Preheat oven to 180C/ Gas 4. If not using stoneware lightly grease baking trays. Cut the apricots into small pieces and put in a Classic Batter Bowl. Add Flour, Oats and Hazelnuts to the Bowl. Mix together. Cut butter into chunks and put in saucepan. Add Sugar & Honey and heat over a low heat. Stir gently until butter and sugar have melted. Add the butter mixture to the dried mixture and mix. Put 5 dessert spoonfuls of the cookie dough onto the stone leaving space between each one. Remove from the oven and leave to cool slightly. Then transfer to cooling rack to cool and become crisp. Alternatives: Chopped dried cherries, raisins, cranberries, peaches or dates instead of apricots. Any nuts instead of hazelnuts if preferred. This beautiful recipe was passed on to me by my good friend Nicky. It is a really dense, tasty cake that even my daughter (who doesn’t like cakes) and my husband (who doesn’t like honey) eat!! Plus, as always, it is simplicity itself. Preheat the oven 160C/ Gas 3/ 140C Fan. Cut butter into pieces and drop into a medium pan with the honey and sugar. Melt slowly over a low heat. When liquid, increase the heat under the pan and boil for about one minute. Leave to cool. Beat the eggs into the cooled honey mixture. Sift the flour into a large bowl and pour in the egg and honey mixture, beating until you have a smooth batter. Pour the mixture into mini baker and bake for 50min – 1 hr until the cake is well risen, golden brown and springs back when pressed. Turn the cake out onto cooling rack. 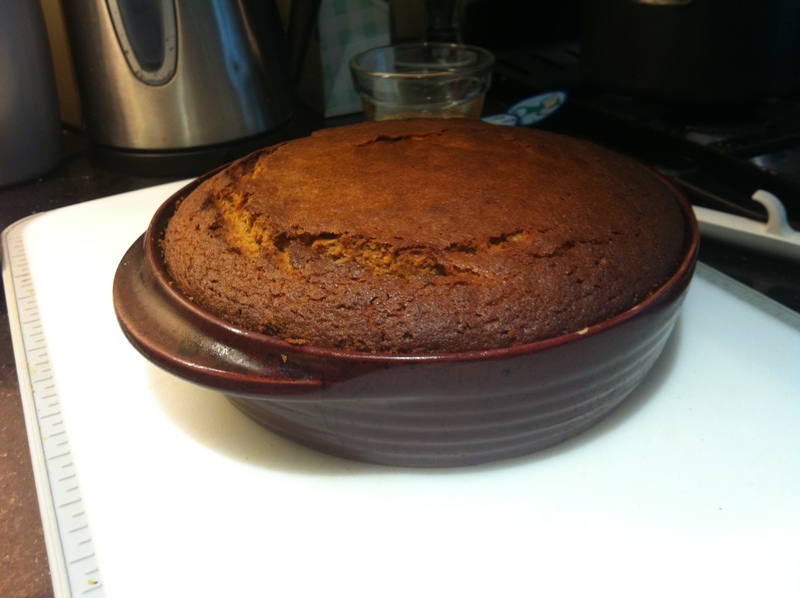 Warm 2 tbsp of honey in small pan and brush over the top of the cake to glaze, then leave to cool. 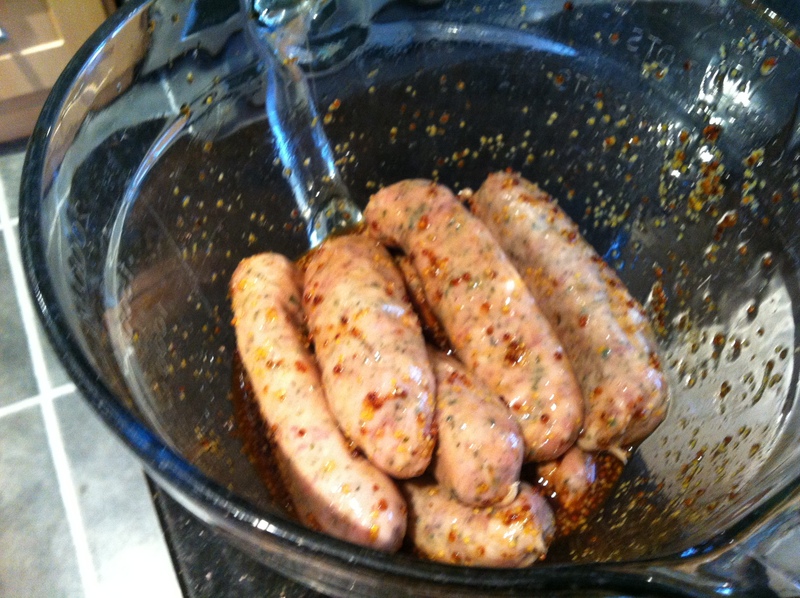 This recipe is fantastic for both party food (cocktail sausages) and also for making sausages and mash rise to a whole new level. And (as always!) it is incredibly simple!